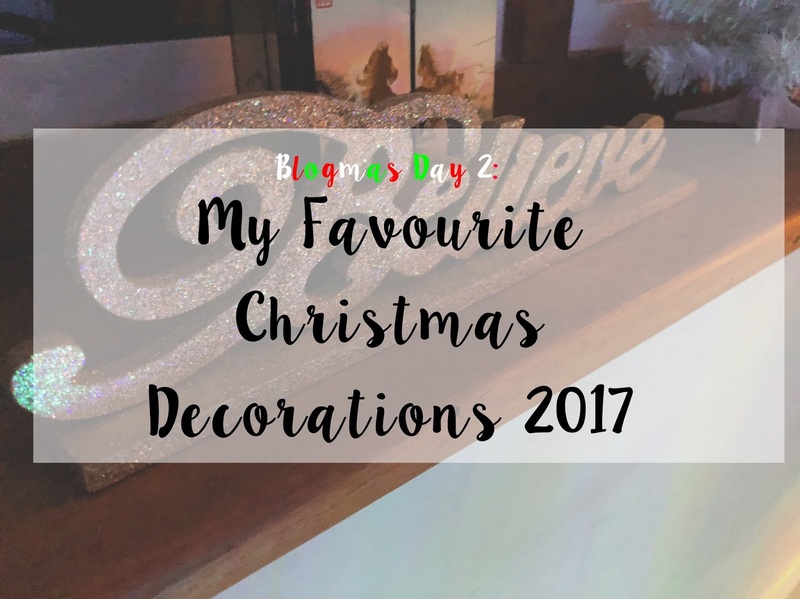 I know you have probably all put your Christmas decorations up for this year already, but I wanted to share some of the decorations I have found that I think are really pretty. This a really lovely tree topper as it’s very minimalistic and would be perfect for a small tree with no tinsel. Get it from Asda, in store or online. Aldi have this really gorgeous set of gold decorations, perfect for a gold theme (or a tree in general). I think the pine cone looks especially cute as it hang perfectly from a tree branch for that little bit of sparkle - and who doesn’t love some sparkle? You can get these in Aldi at a steal for only £2.99! You’ll have to go in store though, as sadly they don’t sell them online. I saw this on the Homebase website and I had a little chuckle. What you definitely need at Christmas is a singing sloth, am I right? 😂 it’s such a brilliant novelty decoration and I’m sure anyone who sees it will laugh too. You can get it from Homebase here or at your local store. John Lewis has a massive and very aesthetically pleasing Christmas collection of baubles, table decorations and ornaments. I’m not going to waste any time explaining why I like them, instead I’ll put the picture up and the link so you can go and buy it if you wish to. I have many more to show but that would take you all day to read. If you have any cool decorations, send me a picture on Twitter or comment with it below.